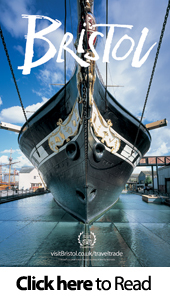 Combine your visit to Excursions™ on Saturday, 23rd January 2016 with an informative sampler weekend experiencing group product and discover some special places for group days out and short breaks. Two new familiarisation trips to the rural Cotswolds and London are being arranged for group travel organisers with packed itineraries planned around a day at the show on the Saturday. 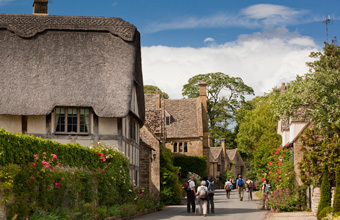 The first, three-day trip takes in attractions around the Cotswolds region, which is famous for its hundreds of honey-coloured limestone villages. Two nights' accommodation is included at the four star Cotswold Water Park Four Pillars Hotel with dinner the first evening in a country pub and the second back at the hotel. Coach travel is provided throughout the weekend with visits to the Corinium Museum, Brewery Arts Centre, Batsford Arboretum, Cherwell Boat House and the city of Gloucester. The second weekend is a source of inspiration for group travel organisers planning a London itinerary, the two day familiarisation trip to the capital includes a one night stay at the four star Best Western Palm Hotel. The weekend takes in tours of HMS Belfast, Shakespeare's Globe and Wembley Stadium; there's also afternoon tea with City River Cruises and dinner with a guided tour at the RAF Museum. Coach travel is provided courtesy of Buzzlines. Whichever weekend trip you choose, on arrival at Alexandra Palace you will be treated to a VIP welcome with fast track entry, complementary drinks and a welcome goody bag. You will also be invited to join an afternoon session of 'Elizabethan Dressing' in honour of Shakespeare's 400 year legacy. Full itineraries for both familiarisation weekends can be found on the show website. To book a place priced at £99 per person for the Cotswolds trip or £85 per person for the London itinerary, based on two sharing a room (single supplement applies to both) contact the Excursions team on Tel: 02380 625516. 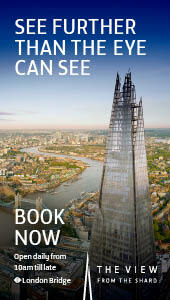 Spaces are limited and bookings will be operated on a first come, first served basis. Group organisers, operators and itinerary planners interested in the exhibition but not the familiarisation weekends can pre-register their attendance to this free entry event online at http://www.excursions2016.com. With an expected attendance of 1300 quality buyers and some 300 exhibitors from the UK and Europe, Excursions™ 2016 will be the place to meet and pick up new inspiration for group day trips, short breaks and holiday. Follow Excursions™ 2016 on Twitter @Excursionsshow for news and updates or visit the show's Facebook page at 'Excursions: Group Travel Trade Exhibition'. A video with highlights from the 2015 show can also be viewed on the website.